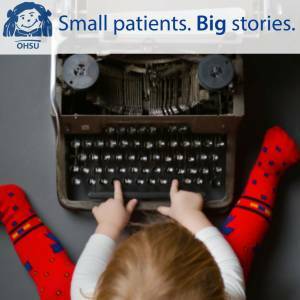 It’s difficult to capture and share even a fraction of the amazing stories that happen every single day at OHSU Doernbecher – and you know what? This is a marvelous challenge to face. 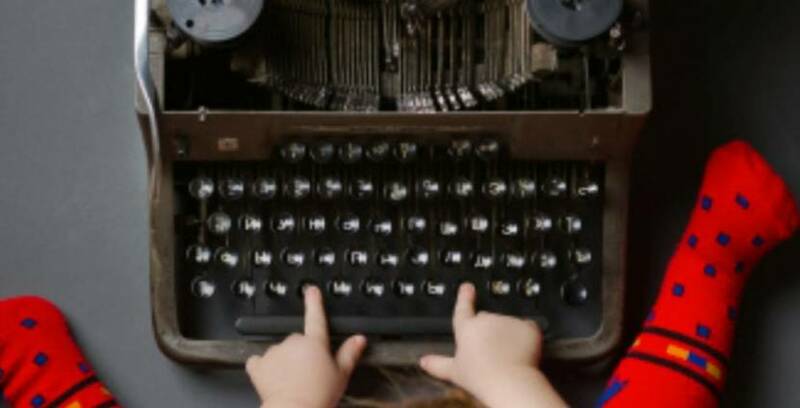 From technological advancements to a remarkable former Neonatal Intensive Care Unit patient’s lemonade stand fundraiser, we took a look back to see which stories had the greatest impact on you, our reader. Here’s what we learned: You care about kids’ health, happiness and safety just as much as we do. 1. The childless pediatrician: a parent’s worst nightmare? Allison Roland, M.D., chief resident in pediatrics, discusses the concern that parents might not take her seriously simply because she does not have children of her own. As you can imagine, this ignited quite the conversation – check out the comments section and add your take! Get to know Alex, a patient whose sense of humor, intelligence and engaging personality helped his parents and his medical team cope with the challenges of his brain tumor. Nate Selden, M.D., Ph.D., head of pediatric neurosurgery, describes Alex’s inspiring journey through multiple operations and therapies – and an appearance on The Ellen DeGeneres Show! Kids and parents know energy drinks aren’t healthy, yet consumption is increasing. 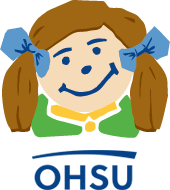 Registered dietician April Mitsch provides some talking points for parents. Elle’s favorite things about Doernbecher include Bingo, prizes, ice cream and visits from fun people (and pets). Our favorite thing about Elle? Everything. To co-sleep or not to co-sleep? That is the question Elizabeth Super, M.D., tackles in this post using recommendations from the American Academy of Pediatrics. The title says it all: Sleep is truly a beautiful thing for the brain and the body. Holger Link, M.D., provides tips to help your family get the right amount of zzz’s (and reap the health benefits). Megan Furnari, M.D., writes about the importance of wellness for medical residents like herself and efforts to create a new curriculum for all primary care residents. Stay tuned for more developments on The Well Resident! 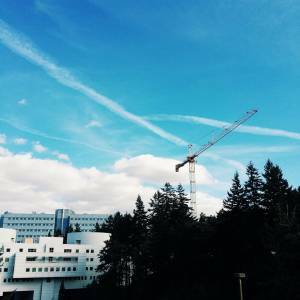 What’s the deal with the enormous crane towering above the Marquam Hill Campus? We’re so glad you asked. 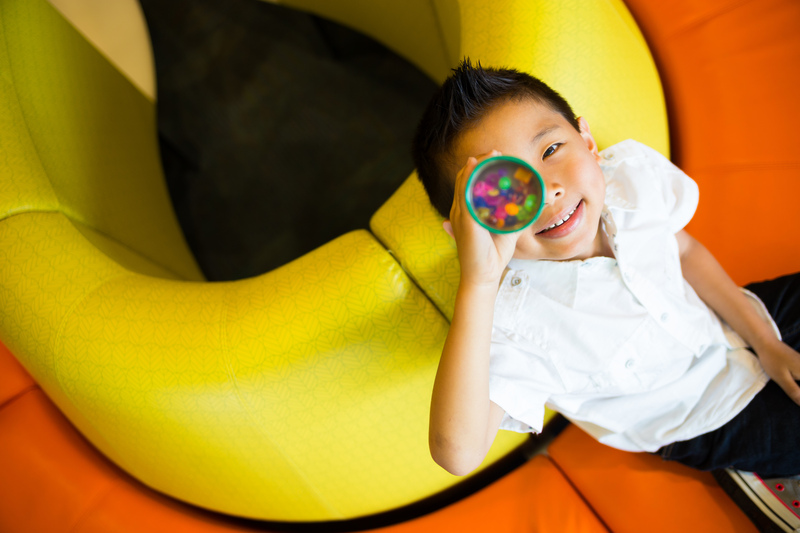 Nate Selden, M.D., Ph.D., explains how Oregon’s first iMRI suite will help advance the care of kids. 9. I think my child has the flu. Should we go to the Emergency Room? It’s a question many parents are familiar with – especially during flu season. Here are some guidelines to help make an informed decision. Eating well is important – and so is talking about nutrition. Susan Bagby, M.D., and Lisa Marriott, M.D., offer some tips for helping your children make healthy choices. Whether it’s safety tips, patient stories or behind-the-scenes hospital photos, we want to tell the stories you care about. In the comments below, let us know what you’d like us to share in 2015! And in the meantime, stay in the loop by following us on Facebook and Twitter and our OHSU account on Instagram!